A snowy approach to Minneapolis. Clearly visible are both Target Field and Target Center. 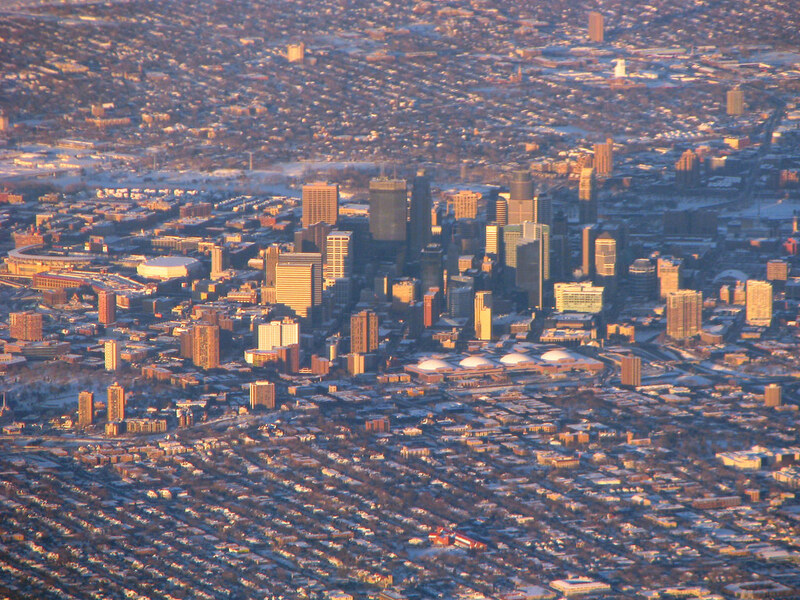 Sadly, as this is the western side of downtown Minneapolis, the shamble-riffic Metrodome isn't visible.